Dublin’s thriving Mary Street/Henry Street shopping enclave will again be the focus of attention for Irish and overseas investment funds with the forthcoming sale of a McDonald’s outlet and office premises at 14-16 Mary Street. Natalie Brennan of CBRE is guiding €18.5 million for the high-profile premises, which will show a net initial yield of 3.79 per cent. The three-storey over-basement building at the corner of Mary Street and Jervis Street is let in its entirely to McDonald’s at €733,000 per annum. The 35-year lease, which began in December 1998, has 16.5 years to run without any break options. The investment is located along the south side of Mary Street adjoining Jervis Shopping Centre, where the tenant mix includes Top Shop, Forever 21, Next, Marks & Spencer and Tesco. McDonald’s has 516sq m (5,553sq ft) of retail space at basement and ground levels. There are also two floors of office accommodation overhead, extending to 529sq m (5,694sq ft). The office suite is fitted out to a high standard, and can be accessed via a separate entrance along Jervis Street. Ms Brennan said the well-positioned high street property should benefit from rental growth, and was likely to appeal to Irish and overseas investors anxious to acquire a prime retail asset with a long, secure income. The forthcoming sale has a number of similarities to the recent sale of the women’s fashion outlet Evans at the junction of Henry Street and Mary Street. Evans was offered for sale at about €18 million but did considerably better when international property manager AEW paid €20.5 million, a figure that will show a return of 4.2 per cent. With positive retail spending since 2013, CBRE estimates that there have been seven property sales since then on Henry and Mary streets, accounting for about €120 million. Almost 80 per cent of the properties were bought by Irish institutions. CBRE also estimates that 64 per cent of the retail buildings on the two streets are now owned by either pension or institutional funds and Reits. 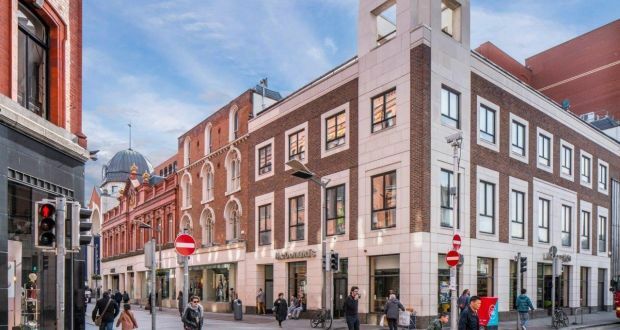 In one of the most recent transactions on the street, Friends First surprised its peers by paying €9.2 million for a 3 store at 35 Henry Street, which is showing a net initial return of 4.5 per cent.